Angola LNG has sold its first pressurised domestic butane cargo from its plant in Soyo, the facility built to create value from Angola’s offshore gas resources. 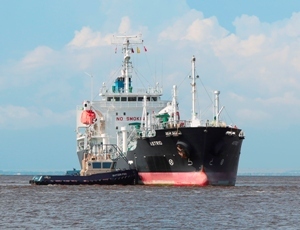 The first cargo was sold to Sonangol Gás Natural Limitada on a Free on Board (FOB) Soyo basis and safely loaded onto the pressurised butane carrier Astrid. Sales of butane from Angola LNG will be prioritised for the domestic market, with any remaining butane committed for sale – on an FOB Soyo basis – to all of Angola LNG’s shareholder affiliates, for export markets. The pressurised butane jetty was commissioned immediately prior to commencement of loading operations. Commissioning included the testing of safety devices, mooring arrangements and loading arms. All three jetties (LNG; refrigerated propane, butane and condensate; and pressurised butane) have now been commissioned and used to safely and successfully load cargoes. Angola LNG Limited is an incorporated joint venture between Sonangol, Chevron, BP, ENI and Total that will gather and process gas to produce and deliver LNG and NGLs. The plant has an expected duration of at least 30 years. First it was the National Planning Commission report. Then came the Cabinet’s lifting of moratorium. Overnight, the mainstream thinking of the South African political and business elite has changed from “gas-is-not-on-the cards” to “its -okay-to-include-gas-in-the mix”. Several days after the Planning Commission’s report was aired all over the media, the government lifted a year- long moratorium on Shale Gas Exploration. And then, the South African media went agog with discussions about the imperative of gas in the country’s energy mix. South Africa’s energy policy has not always viewed natural gas, the world’s least polluting fossil fuel, as an important resource for its planned, massive increase in electricity supply capacity. The Integrated Resource Plan (IRP) for the country, published as a government gazette in May 2011, envisages an addition of 42, 600MW of new build electricity generation capacity between 2010 and 2030, to all existing and committed power plants. The plan assumes a nuclear fleet of 9,600MW; 6,300MW of coal; 17,800 MW of renewable; and 8,900 MW of other generation sources, which includes only 2, 400MW of close cycle gas turbine generated power. The installed open cycle gas turbines currently generate 1,316MW, or a mere 4% of the country’s nameplate capacity. Two of these four gas plants-the 588MW Ankerlig plant and the 438MW Gourikwa plant- were commissioned only in the last six years. Before they were built, the country was generating just 342MW (171MW each) from two plants: Acacia and Port Rex. South Africa’s power utility Eskom currently supplies 45% of Africa’s power and 95% of its own country’s electricity, mostly from coal-fired plants. There’s limited space for more private sector generation in the medium to the long term. We have argued, in this magazine, that even the 2,400MW of gas fired electricity in the IRP, a 20 year resource plan envisaging a build of 42, 600MW, is a mere after thought. The national conversation around energy issues in South Africa has involved every conceivable energy source but natural gas. The roll out for installation of renewable energy plants has kicked in; there’s a vibrant discussion of the possibility of scaling up nuclear power generation in the country, even if there are more skeptics than optimists; and the place of coal in the country’s energy future is assured. But no one was, really, discussing gas until recently. The IRP had extensive input from a wide range of stakeholders in the energy industry. A key reason for the aversion to gas utilization in S.A’s energy mix is that while the country doesn’t have much gas reserves, it considers the cost of imported gas as rather too high. Take this liner in the plan: “The import coal and hydro options are preferred to local options, but imported gas is not preferred to local gas options”. So, even while South Africa has the opportunity to benefit from the recent natural gas finds offshore Mozambique, one of the most significant hydrocarbon discoveries on the planet in the last 10 years. The current upbeat mood about gas in the South African national conversation is driven largely by the optimism that Shale gas exploration would unlock trillions of cubic feet of shale gas in the Karoo. The discussion still has not accommodated nuanced reviews of the opportunities afforded by gas pools in neighbouring countries. INTRODUCTION – Policy Aspirations GIVEN THE ABUN DANCE OF NIGERIA’S gas resources, Government has identified the accelerated development of the domestic gas sector as a focal strategy for achieving the national aspiration of aggressive GDP growth (10% increase per annum). Domestic gas is defined as gas utilized locally within the shores of Nigeria either for home, industrial and/or electric power use. Specifically for industrial use, gas used in value adding industries such as methanol, fertilizer etc. is considered domestic gas, regardless of whether the end product (i.e. fertilizer, methanol) is consumed locally or exported. Gas export (LNG and pipeline) provide high returns to government through tax receipts and dividends for equity stake. However, it is recognized that beyond economic rent, there are broader strategic benefits to the economy that may be attained from the domestic utilization and value addition to natural gas. In essence, in addition to exporting of natural gas, Nigeria must develop strategies to ensure increased domestic utilization. Rising gas prices in key international markets however continues to create a preferential pull for exports. Consequently, there is a disproportionate focus by gas suppliers in the country for LNG projects. This is creating an anomaly in Nigeria where there is now a significant shortfall in the availability of gas for domestic utilization. The continued shortfall directly threatens the economic aspirations of the nation which if unchecked may result in Nigeria supporting the development of the economies of the industrialized nations at the expense of its own economy. The energy requirement to sustain an aggressive GDP growth is enormous. Currently, total demand (export and domestic) for natural gas far outstrips supply. The demand is driven by growth in the Power sector and other gas based industries such as Fertilizer, Methanol, LNG etc. Gas demand is forecast to grow from the current level of 4bcf/d to about 20bcf/d by 2010. In the short term, the growth in the domestic sector is particularly most aggressive, growing from less than 1 bcf/d in 2006 to about 7 bcf/d by 2010. This demand growth is underpinned largely by the power sector and by an increasing requirement by large industries such as fertilizer and methanol that require gas in high quantities. These industries which are unable to compete in high gas cost locations have expressed strong interest in relocating to Nigeria. Nigeria needs to demonstrate availability and affordability of gas or else risk losing these industries to competing nations like Egypt, Trinidad etc. The scale of demand growth relative to supply growth creates an immediate availability challenge. In addition, is the challenge of price affordability and hence gas pricing. The domestic demand sectors such as electric power, fertilizer, methanol etc. have varying capacity to bear gas prices (Fig. 1). For example, the Nigerian Power sector has a lower gas price threshold than a Methanol industry. Government is however keen to stimulate the growth of all these sectors. Timely availability, affordability and commerciality of supply of natural gas is a critical pre-condition for realizing the government’s aspiration for the domestic economy. 3. provide an implementation approach for the gas pricing that enables the full participation of all gas suppliers in the country in a manner that ensures sustained gas supply to the domestic market. The need for a pricing strategy that recognises the diversity in the ability of the various industrial sub-sectors to bear gas price cannot be overstated. Such strategy will not only enable and sustain diversity of the demand sectors, thereby enabling Nigeria to benefit from the industrialisation potential that is inherent in gas, it will also enable the selective maximization of net revenues for Nigerian gas from sectors that are most able to deliver that direct economic benefit. • Strategic Domestic Sector — This refers to a very limited set of sectors that have a significant direct multiplier effect on the economy namely the Power Sector (residential and light commercial users) or other sector that the Honourable Minister for Energy may from time to time consider applicable. The strategic intent in gas pricing is to facilitate and ensure low cost gas access to these sectors in order to spur rapid economic growth. Strategic Industrial Sector – This refers to industries that utilise gas as feedstock in the production of value added products that are primarily destined for export or in some cases, consumed locally. Strategically, these sectors ensure that value is added to Nigerian gas before it is exported. The process of value addition ensures industrialisation, job creation etc. Typical projects in this group are Methanol, GTL and Fertilizer. For this sector, the strategic intent in pricing is to ensure that feedgas price is affordable and predictable in order to ensure competitiveness of the products in international markets in the face of competition from other gas producing countries such as Qatar, Trinidad etc. that provide gas at very low prices to buyers. Commercial Sectors — This refers to sectors that use gas as fuel as opposed to feedstock. Unlike the two previous classifications, projects in this category are a potential major direct revenue earner for Nigerian gas in view of their capacity to bear high gas prices as the competing alternative fuel is LPFO. Typical sectors in this category include cement and domestic manufacturing industries, industrial Power etc. A widely known characteristic of Nigerian gas is its relative richness in liquids i.e. NGLs. NGLs continue to attract a high price in international markets (similar trend in crude oil pricing). As a result of the potential high revenue that comes from NGLs produced in conjunction with residue dry gas, it is possible for a gas supply project to accommodate a relatively lower price for the residue dry gas and still be a profitable supply project. Residue dry gas is used mostly in the domestic market. This gas pricing policy aims to exploit this intrinsic value of NGLs in deriving a relatively low gas price for the strategic domestic sector – Power. It is recognized that not all gas resources in the country are rich in NGLs, consequently, it is intended that this philosophy be applied selectively — especially in the short term as the Power sector is currently unable to pay higher price for gas (in view of the low end user power tarrif that currently obtains in Nigeria). It is however the expectation that in the medium term, power tariff will be more commercial and a higher gas price will be achievable. Based on an assumption of $40/bbl long run NGL price, it has been established that across the Niger Delta, there is a limited volume of gas reserves for which the marginal cost of development and supply can be met profitably with a dry gas price of $0. l/mcf. This assumes that the supplier receives $0.1 /mcf for the residue dry gas in addition to other NGL revenues at $40/bbl. It is the intent of this policy that this category of gas reserves be deployed for use in the strategic domestic sectors. $0.1 0/mmbtu is therefore established as the floor price for the strategic domestic sector. This low price is in line with the strategic intent of ensuring a low cost gas supply to those critical sectors of the economy. In addition, based on existing transmission infrastructure costs in Nigeria and international benchmarks, a transmission tarrif (on postage stamp basis) of $0.30/mmbtu is proposed. The Honourable Minister for Energy may revisit this tariff from time to time as appropriate. The gas pricing framework proposed in this policy is a transitional pricing arrangement. The Honourable Minister of Energy (Gas) will monitor the environment and determine when the domestic market is fully developed and an alternative pricing approach is required. It is important to establish that the pricing framework does not fix prices. It barely sets out a transparent structure for determining the floor price for dry gas for 3 categories of demand sectors presented in section B. The floor price is the lowest price that gas can be supplied to a particular category of demand sector. The actual price paid is based on an indexation formula jointly determined during negotiation between the buyer and seller. In essence, the market actually determines the price by establishing the indexation mechanism. The Regulated Pricing Regime (cost of supply basis): This pricing approach applies specifically to the strategic domestic sectors of Power. As discussed in section C, the floor price for this category is determined primarily by establishing the lowest cost of supply that allows a 15% rate of return to the supplier. This has been established as $0. l/mmbtu for a limited volume of gas reserves. These reserves will therefore be assumed dedicated to the strategic domestic sector. The Pseudo-Regulated Pricing Regime (Product Netback basis): The second floor price determination approach applies strictly to strategic industrial sectors i.e. sectors that use the gas as feedstock. For this group, the floor price is not based on the cost of supply of the gas, but on the netback of the product price. The product price used in determining the floor price is the assumed long run price of the product. With this approach, the pricing of gas will better reflect the ability of the sector to pay given the price of its product. However, since the intention of this policy is not to support sectors that are unviable i.e. sectors whose netback price translates to a gas floor price lower than the cost of supply of gas, the consideration of affordability will not be at the expense of sustainability of gas supply. The Market Led Regime (Alternative Fuels Basis): The third floor price determination approach applies to all other sectors that use gas as fuel or wholesale buyers buying gas for subsequent resale. For this category, the price of gas is indexed to the price of alternative fuel such as LPFO. The indexation will be established during negotiation. The foregoing structure provides the basis for the pricing framework illustrated below. Three segments can be identified in the framework consistent with the three demand sector groupings, starting with the lowest priced sector, the strategic domestic sector to the highest priced sector — the commercial sectors. It is assumed that pricing for each demand sector will transition to the next higher pricing band once a saturation level has been attained. For example, for the strategic domestic sector, once the domestic requirement has been met (domestic saturation point) and Power is now being exported, the framework proposes that export Power benefits from a relatively higher price, determined by the netbacking philosophy applied to strategic industrial sectors such as methanol. Similarly, once the capacity of a strategic industrial sector exceeds an export saturation limit (i.e. once Nigeria’s export capacity for that sector e.g. fertilizer is assumed to have reached an acceptable limit), any incremental capacity will attract a much higher price consistent with that of commercial sector buyers. Through this transitional mechanism, pricing can be aligned with required capacities within the economy. It is important to reiterate that the entire gas pricing framework simply specifies the floor price. Actual prices will include an escalation for inflation and an indexation to real time product price (which may be higher than the long run price used in the determination of the floor price) and/or any other indices considered appropriate by both buyer and seller of the gas. The indexation will be determined through a process of negotiation. To underpin the proposed pricing framework, Government will establish a Gas Regulatory Agency, the Gas Regulatory Commission, through the proposed Downstream Gas Act. Amongst other functions, the Commission will have the power, where necessary, to regulate the price of gas supplied and utilized in the downstream gas sector and the power to promote reliable and efficient use of gas throughout Nigeria. It will also have the power to monitor and impose pricing restrictions on licensees. Pending the establishment of this GRC however, an interim agency will be set up by the Minister as a department within the Ministry of Energy (Gas). Consistent with the pricing principles established by the Act, the Commission will have the power to regulate the prices charged by licensees where competition has not developed to such an extent as to protect the interest of consumers. The relevant pricing principles in this regard are cost reflectivity, price disaggregation and the earning of a reasonable return on investment by licensees. A Transitional Pricing Plan setting out temporary or transitional pricing arrangements allowing for a gradual transition towards pricing arrangements that are consistent with the pricing principles above is required to be introduced by the Downstream Gas Regulatory Agency. The gas pricing framework presented in this policy document is designed to achieve this objective. In implementing this pricing policy, it is essential that there is sufficient gas available for the various demand sectors. To facilitate this, a domestic gas supply and reserves obligation will be imposed on all operators in the country. In essence, all gas (AG and NAG) asset holders will be required to dedicate a specific proportion of their gas reserves and production for supply to the domestic market. This is the “Domestic Reserves Obligation”. The reserve obligation will be broken down annually to a production obligation for the same period. The sum total of all obligations will equal the planned domestic requirement for the stated period. Periodical reviews to the domestic obligation will take place to reflect the changing demographics of the demand and supply landscape i.e. new demand will be allocated accordingly as new suppliers come on stream. The Minister for Energy will periodically stipulate the reserves and production obligation of the various operators. The allocation of the obligation across operators will be based on the principles of equity to be determined by the Minister. The gas pricing framework stipulates a pricing regime for various demand sectors ranging from a floor price of about $0.l/mcf for the strategic domestic sectors to over $2/mcf for the commercial sectors. The Aggregate Domestic Gas Price is the forecast average domestic price based on the projected total domestic demand portfolio using the relevant prices proposed by this framework. All suppliers of gas in the country will be paid the aggregate domestic gas price. A target aggregate price will be set by the Gas Regulator based on the known portfolio of domestic demand. The portfolio will be balanced continually to ensure that the aggregate price does not fall below the threshold. In essence, the suppliers have a fixed price whilst the buyers will pay the sector price proposed in the framework. The aggregate pricing will ensure that regardless of their geographical location all suppliers are able to benefit from the high priced customers as well as from the low priced buyers. The aggregate price will ensure that the suppliers receive an acceptable return for their domestic obligation. A Strategic Aggregator (under the auspice of the Department of Gas or the GRC) will manage the implementation of the domestic reserves and production obligation and the aggregate price. It will ensure a balanced growth of the domestic portfolio such that the target minimum aggregate price is achieved whilst not compromising the nation’s primary objective for economic growth by ensuring the availability of adequate volumes of gas to the strategic domestic sectors. Conceptually, the Strategic Aggregator acts as a one stop intermediary point between the suppliers and the diverse demand sectors and will ensure that gas is supplied at the aggregated price. Through a Gas Management Model, the Strategic Aggregator plays the role of portfolio manager on behalf of all suppliers the primary objective being to preserve a minimum aggregate price portfolio. When the aggregate price is higher than the minimum threshold, an agreed portion will be paid out to the suppliers whilst the balance will be retained as cushion in the event that the portfolio mix for unavoidable reasons falls below the target minimum threshold. The National Domestic Gas Supply and Pricing Policy therefore aims to fully align the gas sector with the economic growth aspiration of the nation. This policy will be applied in conjunction with the Gas Pricing regulations and modifications thereto. CONSTRUCTION BEGAN ON THE FIRST stage of the Medgaz pipeline from Algeria to Spain on March 9, 2008. The Medgaz consortium includes Algeria’s state-owned Sonatrach with a 36% stake, Cepsa and Iberdrola SA with 20% each and Endesa SA and Gas de France with 12% each. Despite a number of disputes in the second half of 2007, Algeria and Spain eventually agreed on the amount of gas Sonatrach may sell through the Medgaz pipeline. Spain agreed to allow Sonatrach to sell more than 1 billion cubic metres of natural gas through the pipeline and dropped five of the seven conditions for Sonatrach to increase its stake in the Medgaz project from 20% to 36%. The pipeline is expected to transport at least eight ( 8) billion cubic metres of gas per year to Europe beginning in 2009.
of commercial operations. Phase 2 analysis is underway, further examining capital and operating costs for the generation assets, assessing the economics and routing challenges for the Mtwara-Dar es Salaam transmission interconnection, and examining the environmental aspects of the overall development through an Environmental Impact Scoping Assessment. The Phase 2 Pre-Feasibility results were targeted for end-February 2008, and expected to be input to final decision regarding project sanction and financing. The VLPP has been incorporated within the TANESCO Tanzania Electricity Master Plan update, which is to be released in first-half 2008. Artumas is maintaining its focus on the marine compressed natural gas (CNG) export project, moving natural gas from Mtwara to Mombasa. Ongoing monitoring and geopolitical assessment of the political turmoil in Kenya suggests that the recent unrest should not impact the timing of the CNG export development, according to the release. MOLOPO HAS SIGNED A Memorandum of Understanding to supply a leading South African industrial gases company, with gas generated from its Free State Gas Field. The name of the putative purchaser of the gas was not included in the press release. Molopo merely states that the company is a major gas distributor with a presence throughout sub-Sahara Africa. Under the MOU, Molopo may supply up to 80,000 gallons per day of LNG which will be used to replace high priced imported LPG with natural gas from Molopo’s plant. Methane is currently venting from old mineral exploration boreholes in Molopo’s Free State Gas Field. Existing production has been measured at over 1 million cubic feet/day and Molopo will seek to increase these volumes by a programme that includes well work-overs, new wells and the identification of additional gas emitting boreholes. Molopo will now undertake a full feasibility study, seek reserve certification and apply to convert its Exploration Rights into a Production Right, the company said in the release. Work to date on the Free State gas project has included: Identification of existing and previous gas emitting boreholes; Measurement of gas flow rates; Gas analysis including gas composition and origin; A 2,000 sample soilgas survey; Magnetometer traverses; Geological mapping; Well workover and new well design plans. The soilgas information was integrated with emission data to delineate areas where gas is migrating to surface at potentially commercial rates. Three high-graded areas have been identified in the Free State that could be developed independently or as one project. Molopo’s next phase of work in the region will entail analysis of seismic and other subsurface data, interpretation of the petroleum system from gas genesis and migration to potential storage, tests to enhance recoveries from existing wells, and identification of leads and drillable prospects. Molopo is now monitoring on a daily basis gas flows from 10 wells totalling 1 MMscf/d to provide the production history to support initial reserves certification, development planning and production license application. Monitoring under advice of the independent certifiers will continue for the next 3-4 months before the reserves certification process commences. Molopo and its South African partner will now work together to complete a definitive formal gas sales agreement. THE NIGERIAN GAS COMPANY, subsidiary of the Nigerian National Petroleum Corporation, has resumed optional supply of gas to the Egbin Thermal Station Lagos and other installations of the Power Holding Company of Nigeria (PHCN). This development rekindles the hope of improved performance by PHCN, which had blamed its lackluster performance en inadequate supply gas by NGC to rum its installations. Gas supply to other industrial consumers nationwide has also been restored. 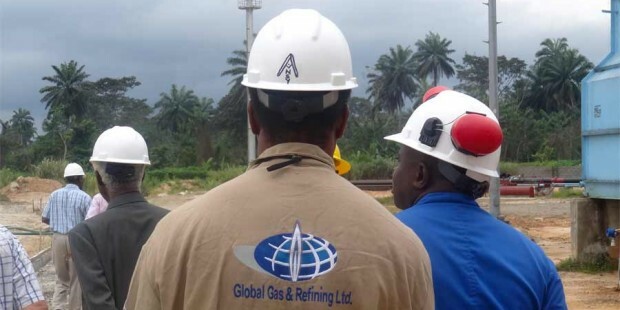 The development follows the successful repair of the Escravos Warri Trunkline, which conveys gas from the various fields of the U.S oil major Chevron, in Escravos, by a Nigerian indigenous oil servicing contractor, De’Wayles International Limited. De’Wayles completed the job, two years after the line was vandalized by Niger Delta militants in Chanomi Creeks, Warri South West Local Government Area of Delta State. FO HEAR THE COUNTRY’ S MINISTER of energy tell it, Nigeria’s domestic gas utilization is low. “The power sector accounts for 90% of domestic consumption” says Edmund Dakouru. For the time being, that is no more than 800Million standard cubic feet per day, supplied to four thermal stations, collectively generating 2,500MW at peak. Other potential consumers of relatively large volumes of gas, such as cement manufacturers and the fertilizer industry, are only just scrambling to get up to their feet. Nigeria’s still struggling to increase the in-country demand for Liquefied Petroleum gas, targeting a measly per capita consumption of 3kg by 2008. 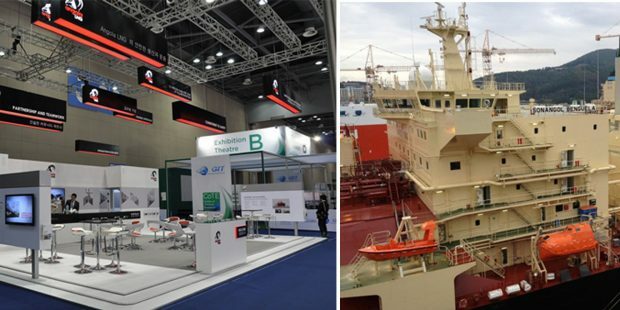 All of which explain why the offshore market is the main destination of Nigerian gas. But several initiatives, related to the ongoing power sector reform, the privatization of government owned companies and the emboldening of local enterprise, are giving rise to projects that will lead to projects that can only boost domestic gas use. A 150MW power plant, constructed by the River State government, was commissioned late November. Its turbines are being run with 45MMscf/d of gas from Agip’s Obrikom gas field. The Nigerian government itself is constructing seven Thermo electric plants, under the Niger Delta Independent Power Project (NIPP), expected to consume as much as 650MMscf/d at peak capacity by 2010. Outside of the NIPP, four other government owned thermal plants are under construction in Geregu in the north of the country, Alaoji in the east, as well as Omotosho and Papalanto in the west. They will all guzzle 430MMscf/d. Pressured by the Nigerian government, major oil operators in the country-Shell, Chevron and TOTAL -are all currently engaged in various stages of construction of IPPs. Agip’s 480MW IPP has been put on stream, and its gas consumption is already accounted for in the figures stated above. ExxonMobil has been quiet on commitment to build IPP, which the Government encourages fervently, but Shell, Chevron and TOTAL have publicly stated their commitment to build power plants with total capacity of 1,828MW, expected to consume around 533MMscf/d at full throttle. The liberalised power sector witnessed the commissioning, late 2006, of a 135MW plant to energise a new cement factory in Obajana, in Nigeria’s middlebelt. An eight inch, 90km buried gas pipeline was built from the main ObenAjaokuta gas pipeline to the site of the cement factory, supplying 60MMsf/d at take off, for firing the gas turbines as well as the kilns, with the capacity to grow to 90MMscf/d when the entire cement plant is completed. contract, the initial 48 MMscf per day is expected to rise to 143 MMscf per day to support Notore’s aggressive expansion programme. Notore hopes to produce 1,700 tonnes per day of urea on commencement in March 2007, increasing to 3500 tonnes per of urea by 2010 under a second project phase. The 20 year contract will cater for the first two phases of Notore’s urea production, but the company is looking ahead to a third project phase with the construction of a large scale plant which will take its urea production capacity up to 6,500 tonnes per day. In Lagos, Shell is expected to supply gas to Shoreline Power, a Nigerian company planning to build a 40MW power plant in Agbara, in the west of the country. Shoreline Power acquired the ABB switchgear manufacturing facility in Lagos and is working on purchase of the ABB manufacturing facility and this is its first project outside of those it inherited. Shell is also supplying gas to a proposed power plant to be cited near the Aba industrial city in eastern Nigeria, but the project too is still at formative stage. Shell Nigeria gas says it would be supplying up to 25mscf to the IPP and other industrial customers around Ossisioma and gas supply would be extended to Owerrinta and other nearby industrial facilities in the near future. What’s significant about these activities is that they may be small individually, but they are all coming together at the same time. Investment in the development of new gas technology in order to be in the vanguard of cutting edge technology.